I learned a very interesting Chinese word today. Apparently, there is a term in psychology, "jamais vu" (in French it means "never seen"), which is the opposite of "déjà vu" and denotes a phenomenon when one experiences something familiar which seems unfamiliar. And the word structure is very logical: "strange, unknown" + "feeling". Happy Year of the Rooster, everyone! 鸡 is rooster or chicken, 年is year and 快乐 is happy. 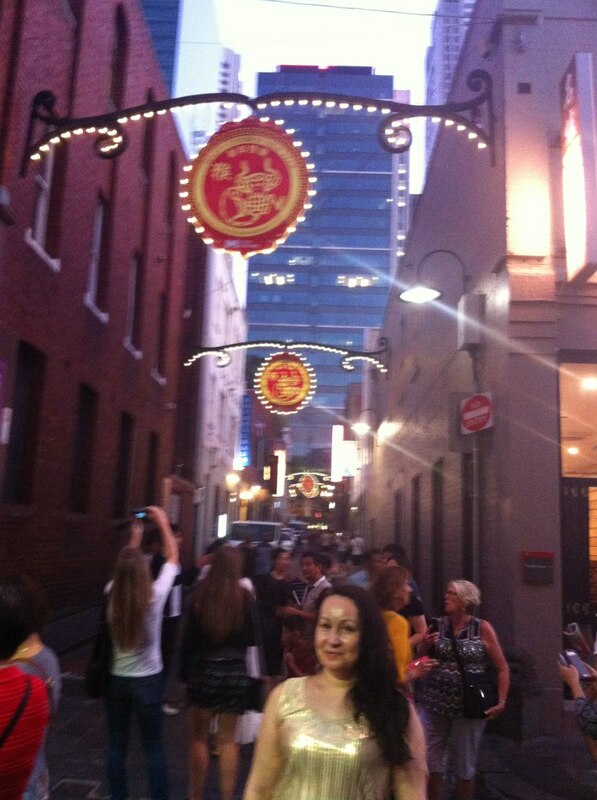 Yes, today is the Chinese New Year Day. Hope the next year will bring you luck and happiness. 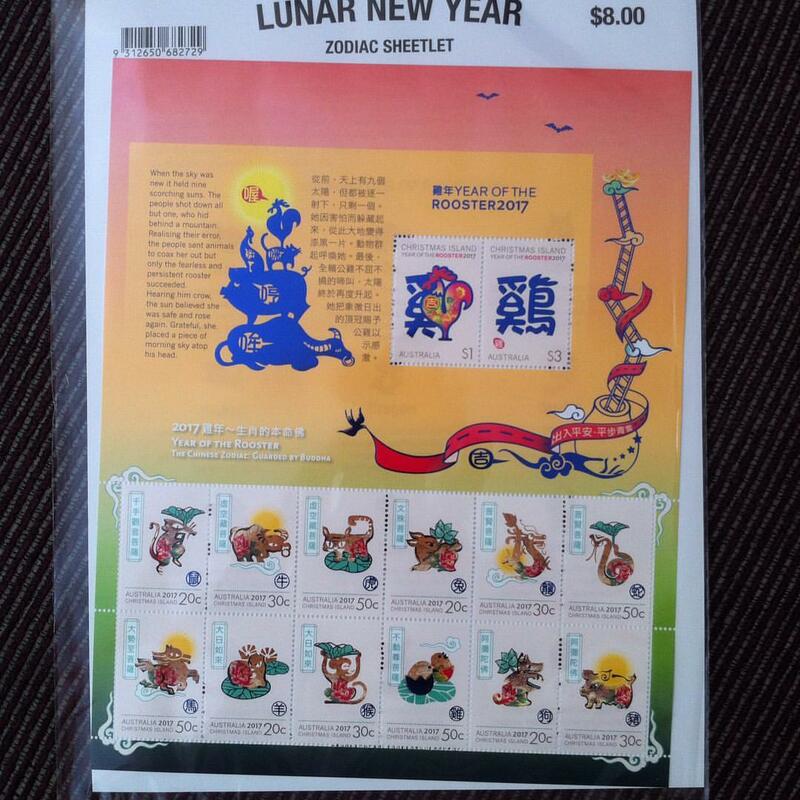 We bought some postal stamps with the Chinese zodiac signs today, aren't they cute? I love libraries. This is simply the best place to be, in my opinion. 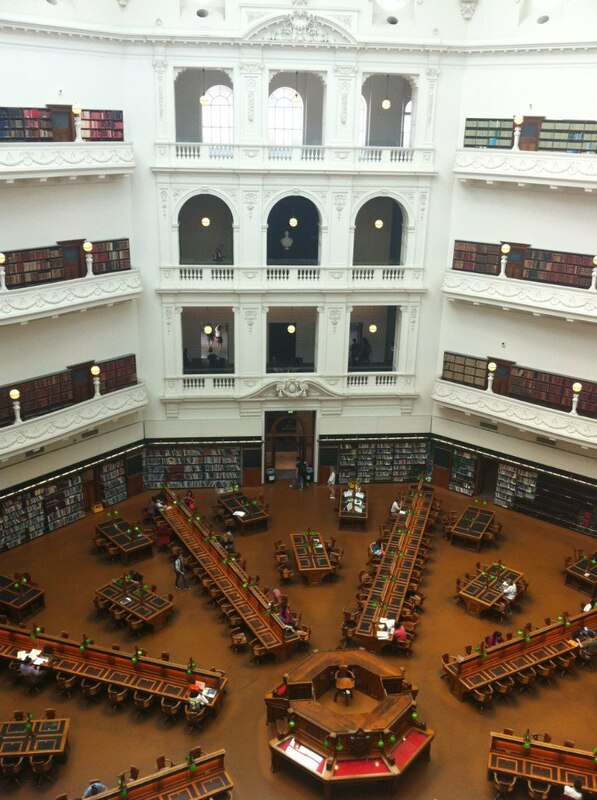 And this is Melbourne City Library, impressive, right? 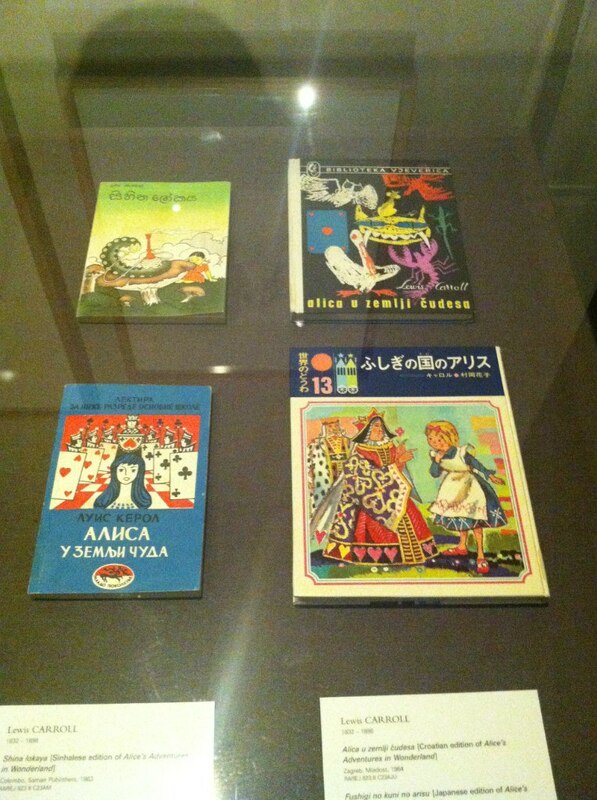 When I went there (a year ago), there were several ehxibitions, including one dedicated to one of my favourite books, which is Alice in Wonderland. Yes, there were some books with very original pictures, I would love to read them all! Did you notice the very non-Disney Alice speaking with the Catterpillar? Tomorrow, 26th of January, is a holiday here in Australia - Australia Day. If you are curious how to say it in Chinese, that would be 澳大利亚国庆节 (àodàlìyà guóqìngjié). And you can say: 澳大利亚国庆节快乐! 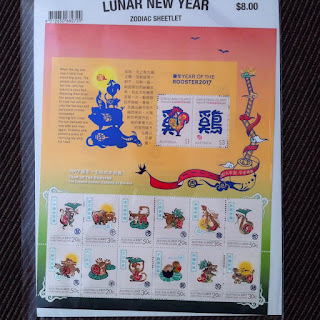 (àodàlìyà guóqìngjié kuàilè), where 澳大利亚 (àodàlìyà) is Australia, 国庆节 (guóqìngjié ) is "national holiday" and 快乐 (kuàilè) is "merry", so the meaning of this phrase is "Happy Australia Day!" In 1788 the First Fleet of British ships arrived at Port Jackson, New South Wales, and the flag of Great Britain was raised at Sydney Cove. Nowadays people celebrate the anniversary with various community events. Tomorrow I am going to watch the parade! Finished reading "44 Scotland Street" by Alexander McCall Smith. A nice book, it gives you a light, bitter-sweet feeling. But mostly sweet. My favourite character was 5-year old Bertie, by the way. And the least favourite - his mother, Irene. I don't know if she can be called 虎妈 (hǔmā), that is "tiger mother", but this Chinese word, consisting of two characters ("tiger" and "mother") definitely comes to mind. Do you know who "tiger moms" are? They are those strict and demanding mothers who push their children to academic success, often at the cost the child's well-being. And have you read anything by Alexander McCall Smith? I love his stories about Mma Ramotswe, by the way, they always make you feel good. I like to buy stuff like face scrub and moisturizer from MUJI. No, this is not an advertisement post, which is a pity. I would love to get their free samples or something like that. What I wanted to mention is the fact my dear husband asked me about: "How did they manage to translate the brand name into Chinese so well?" Well, I said I didn't think they actually translated it - they are from Japan, so the brand name must be Japanese, right? But it is written using Chinese characters, and they really chose the best brand name for the epoch of minimalism that we live in - "無印良品" (wú yìn liáng pǐn). It consists of four characters: no + trace + excellent + product, and can be translated as "No Brand Quality Goods". Pretty cool, hah? 座右铭 zuòyòumíng - motto; maxim. This word consists of characters which mean: "place", "left" and "inscription", so it literally means "an inscription to the left of the place where you sit". Isn't it a nice way of saying "motto"? For example, one could say: 我们的座右铭是“为人民服务”。 Our motto is "Serve the people".